Applications for Christmas help from The Dane Foundation will open on October 15, 2019 and close on November 15, 2019. To apply, you MUST submit your application using the forms that will be posted below on October 15. In 2019, ALL applications must be submitted via email before the deadline for consideration. Those selected to receive services for Christmas from The Dane Foundation will be notified via email by December 5, 2019. 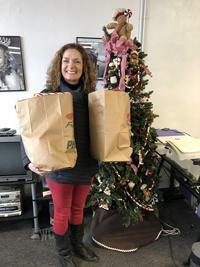 Recipients will be required to pick up the donated Christmas items/gifts on a determined date at The Dane Foundation offices in Cuyahoga Falls, Ohio. No gifts will be delivered by the organization. Please note: To qualify for assistance from The Dane Foundation, an individual or member of the family must have a qualifying physical or developmental disability. Examples of these are mental retardation, traumatic brain injury, downs syndrome, cerebral palsy, spinal cord injury, parapelgia, muscular dystrophy, multiple sclerosis, etc. We DO NOT serve individuals with mental health related disabilities or addictions. Please visit the ADM Board's website or call 211 for a list of providers that serve the mental health and/or addiction populations. Items are wrapped by Santa's Elves! any have already joined The Dane Foundation's Project Elf Corps, but many are still needed! You can adopt an individual or an entire family. You will receive a Christmas wish list to use for shopping. You do the shopping, provide the unwrapped items to The Dane Foundation. 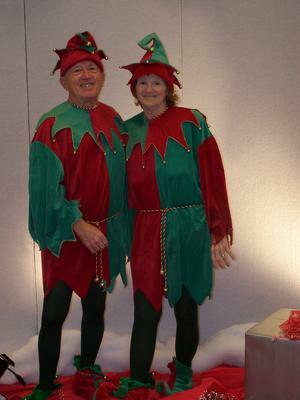 Our in-house elves will coordinate, wrap, and distribute the gifts! Don't want to shop...cash donations are accepted and we will do the shopping! To be an ELF in 2019, email us today to be put on the list!